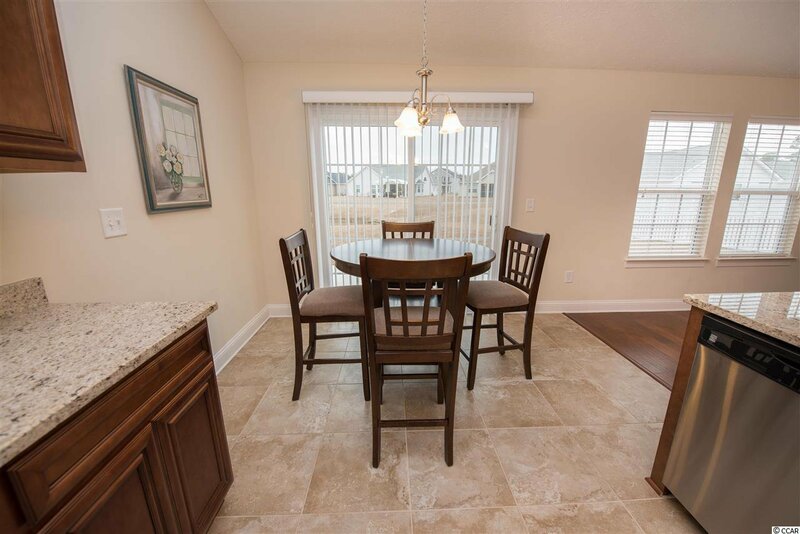 You don't need a dictionary to find the definition of stunning, just come to 418 Camrose Way for a firsthand example. 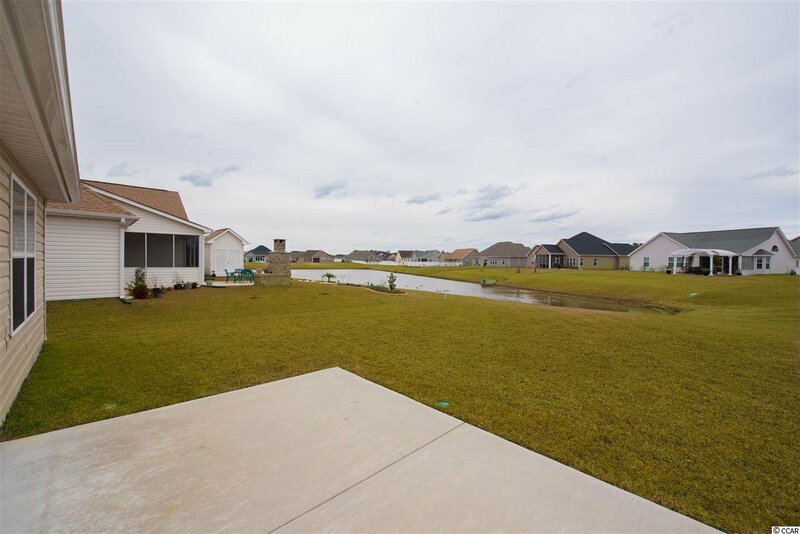 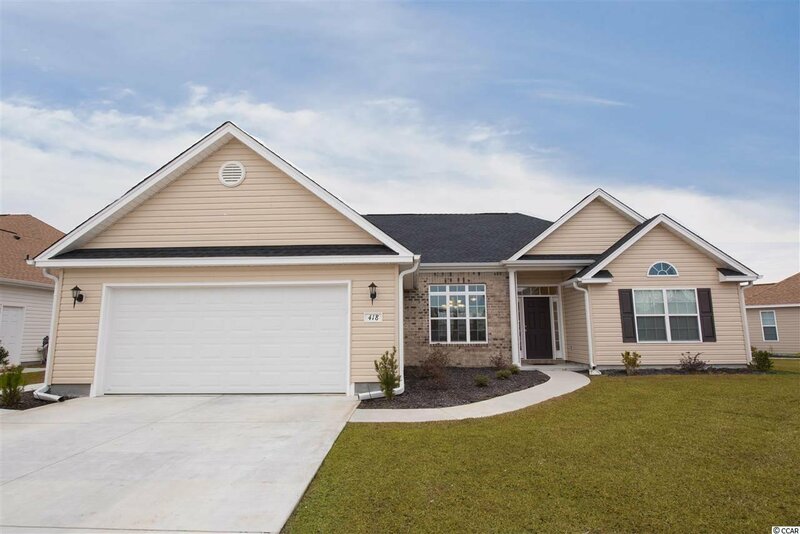 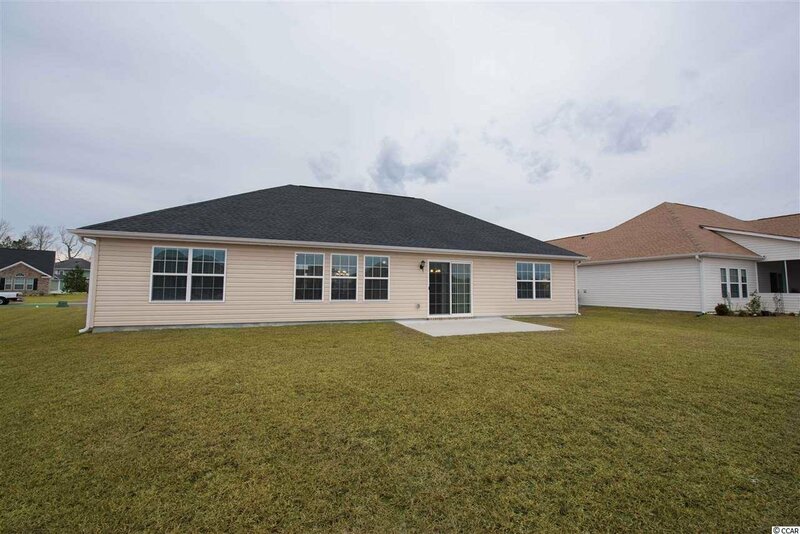 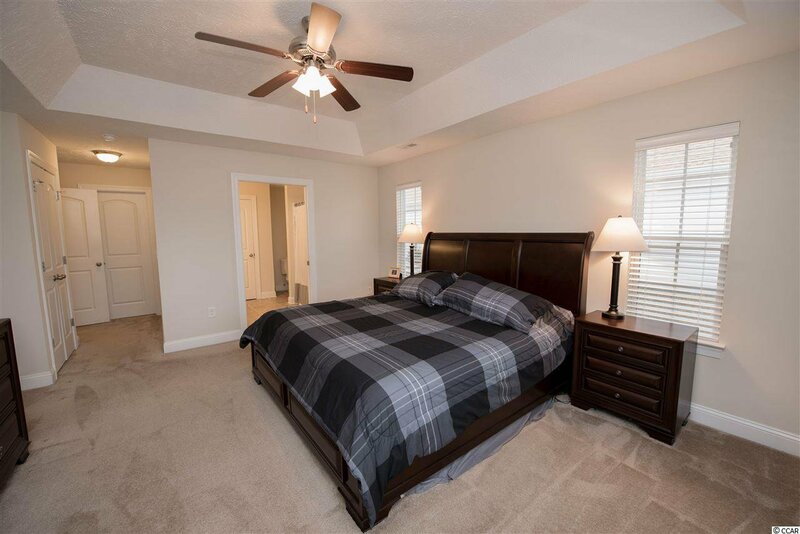 This meticulously maintained masterpiece of a home is just over a year old and sure to capture your attention. 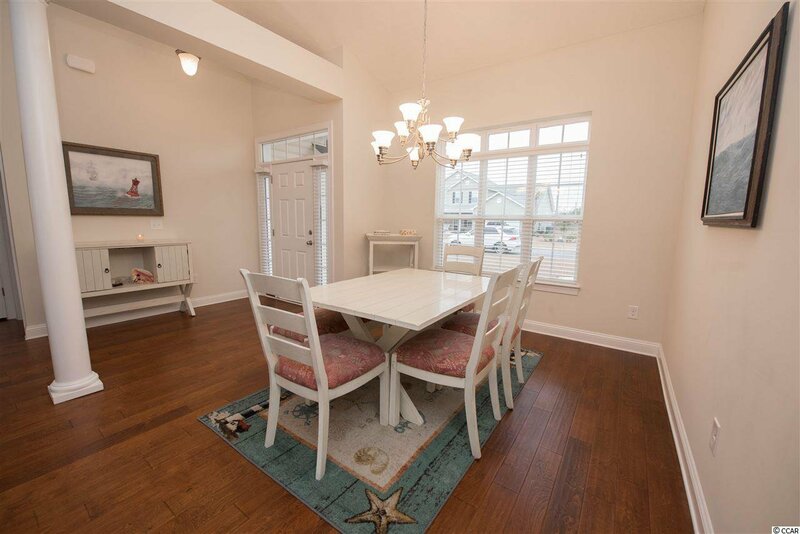 Upon entry, the common area is comprised of a well laid out dining area and living room. 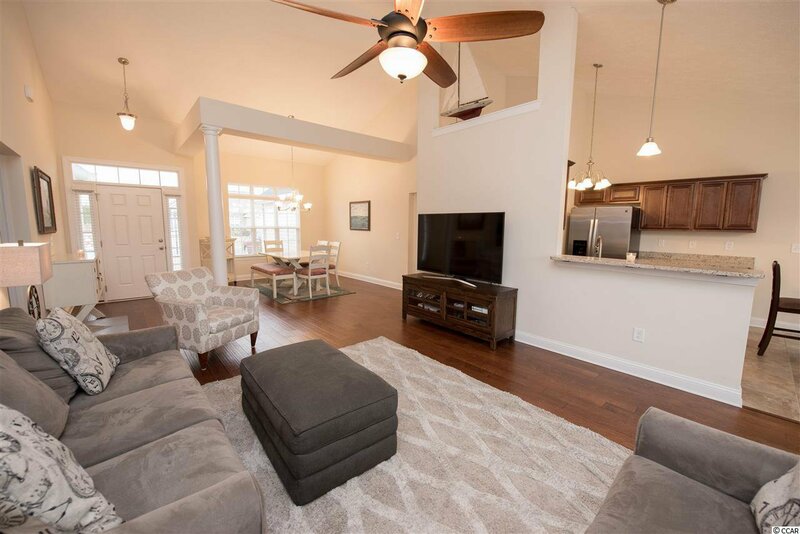 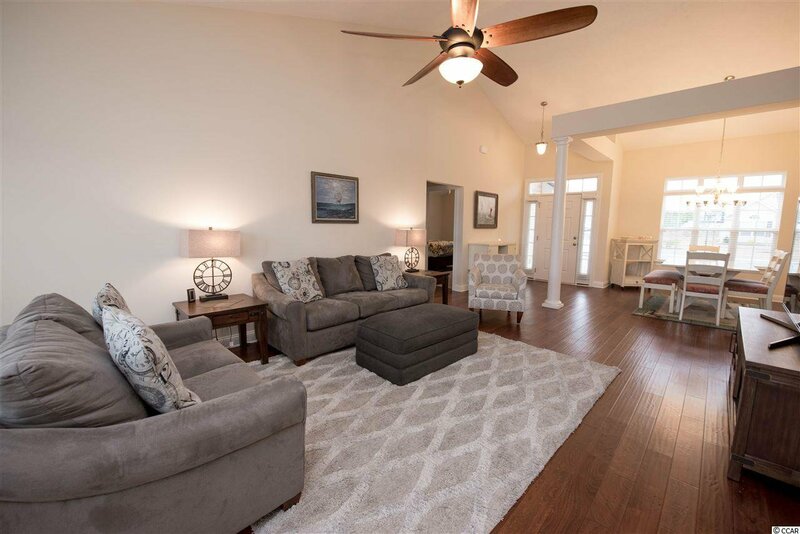 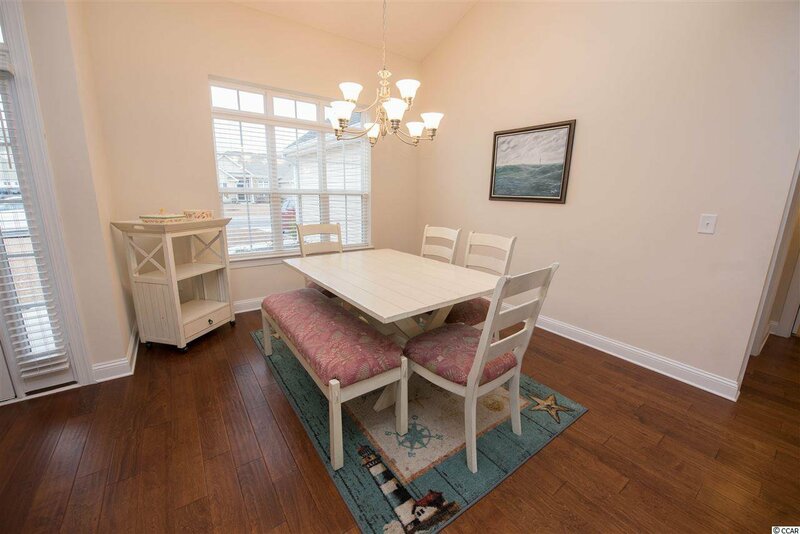 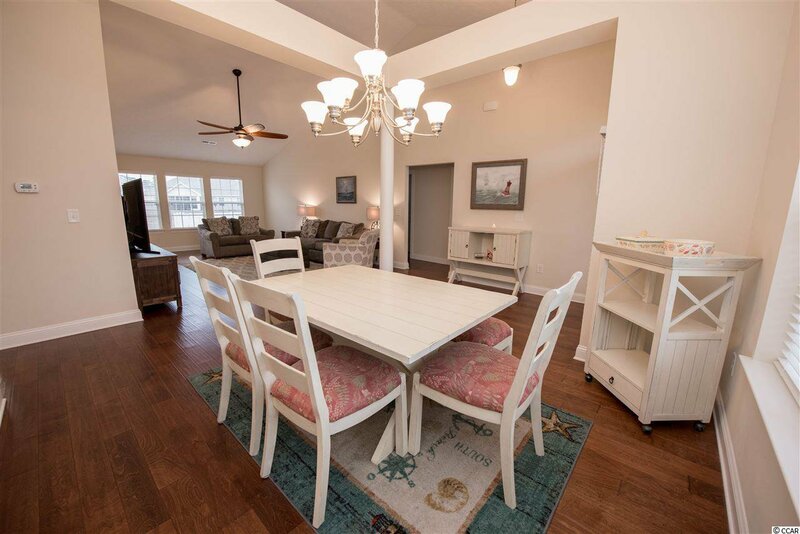 Complete with manufactured hardwood floors, cathedral ceilings, ample, natural light, and views of the pond in the rear, the openness of this home is unmatched. 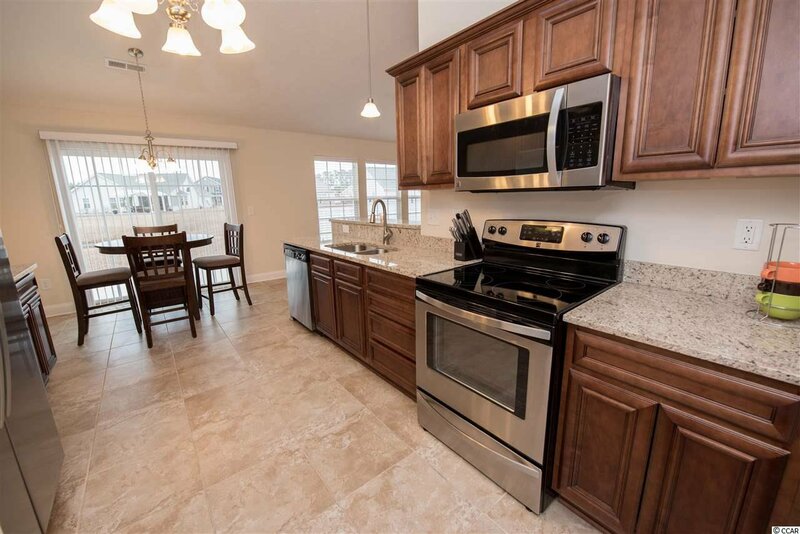 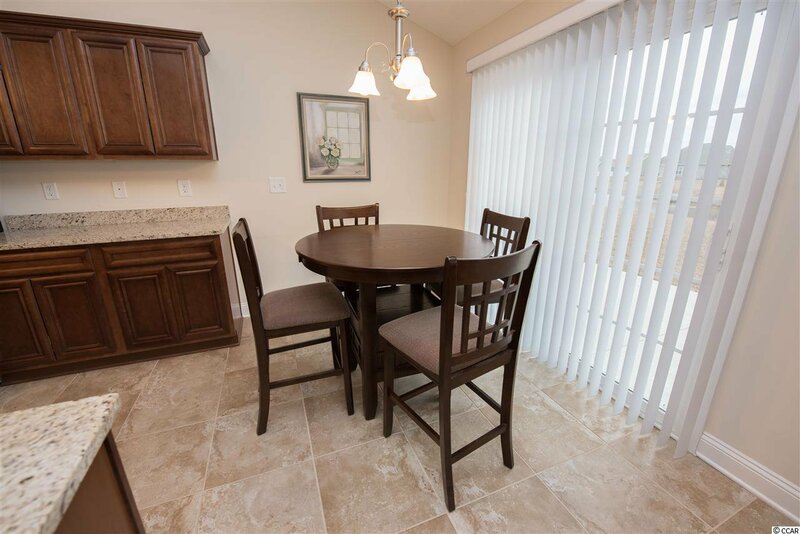 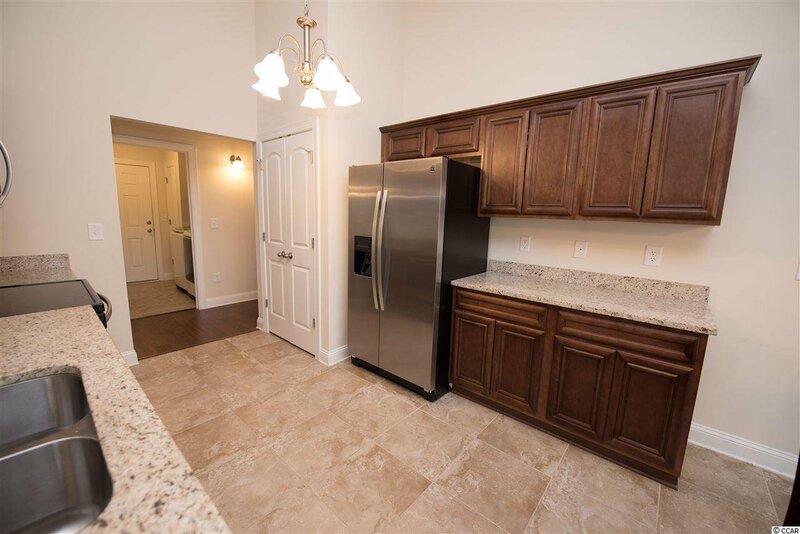 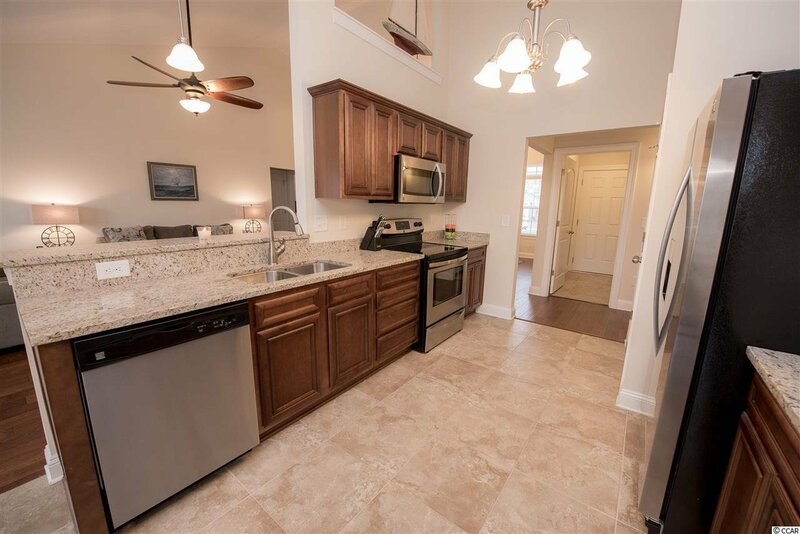 Adjacent to the living area is the spacious kitchen with an additional dining area, beautiful cabinetry, and stainless steel appliances. 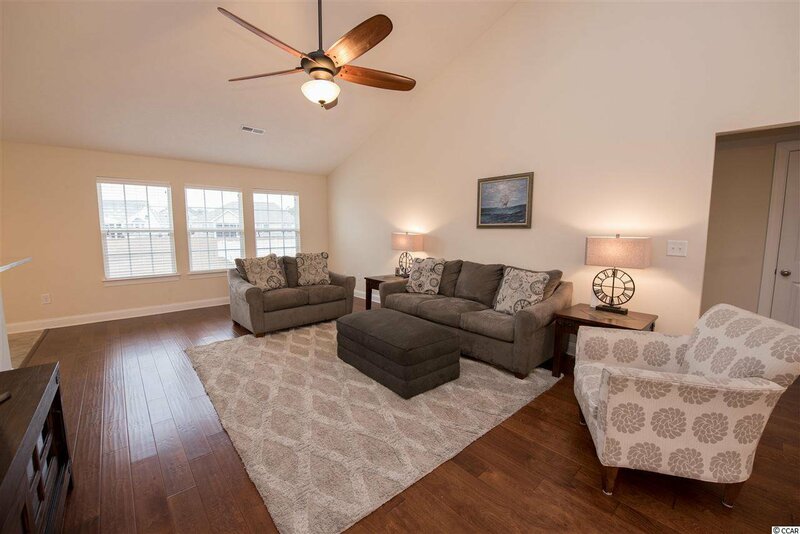 This home offers a split floor plan. 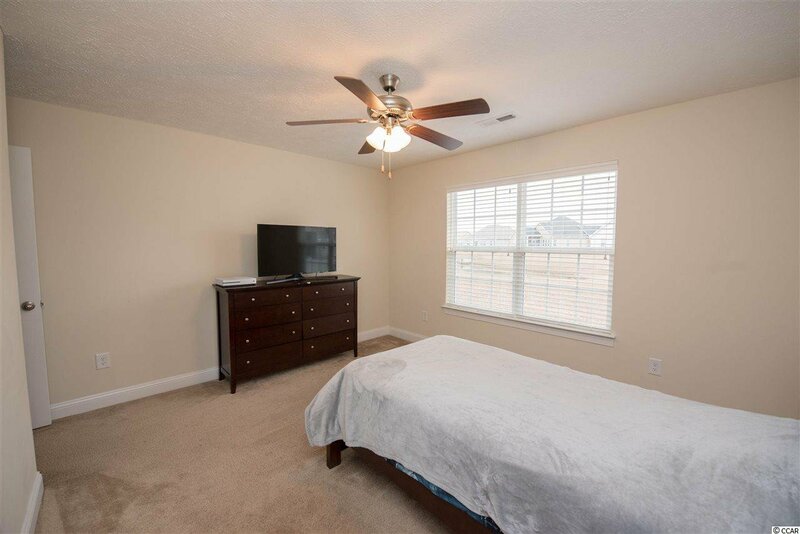 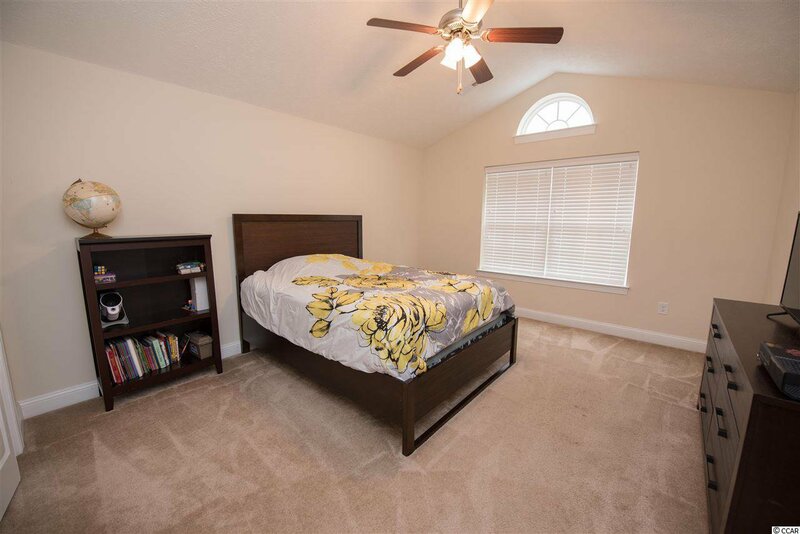 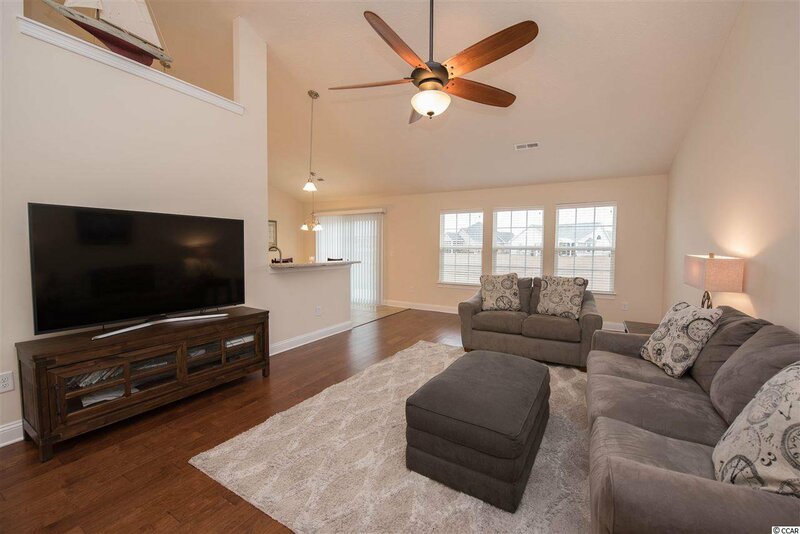 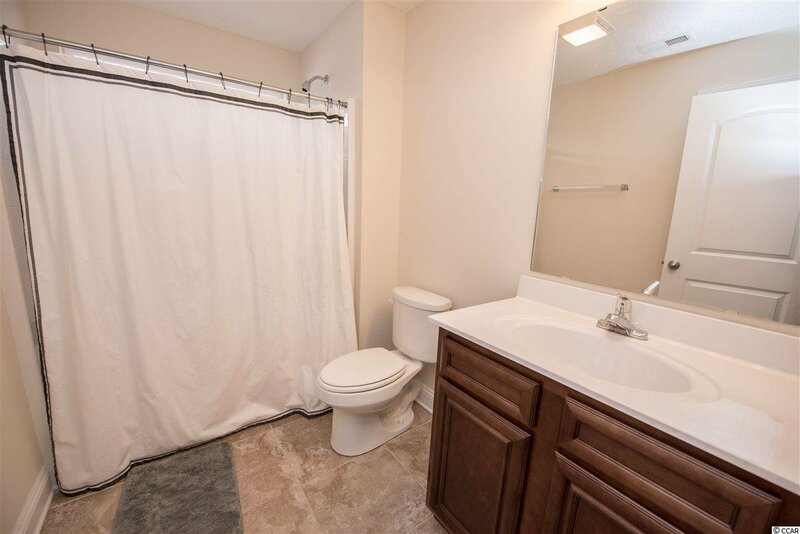 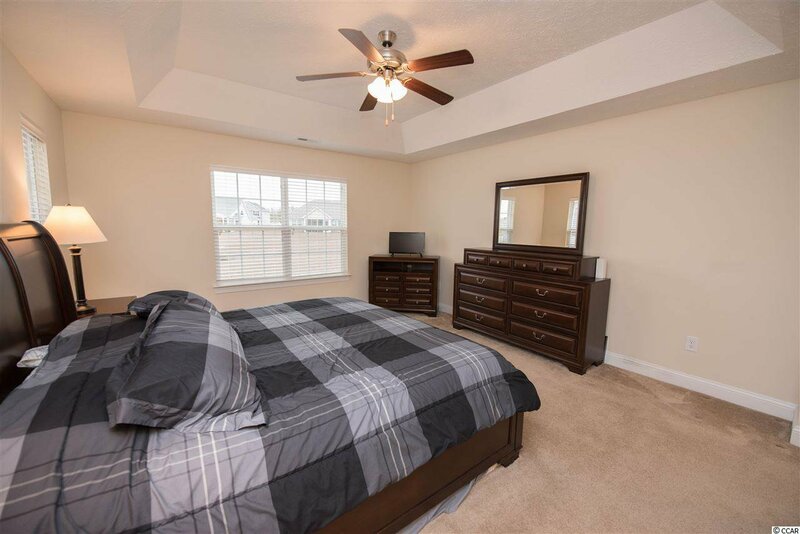 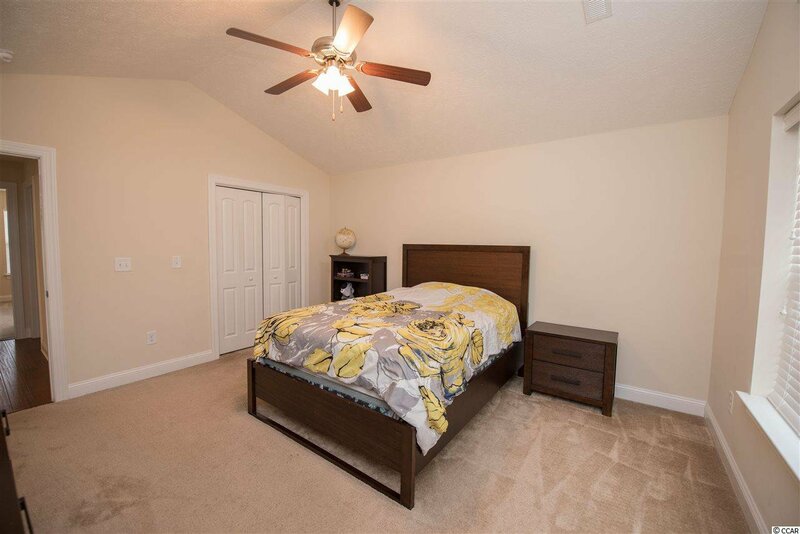 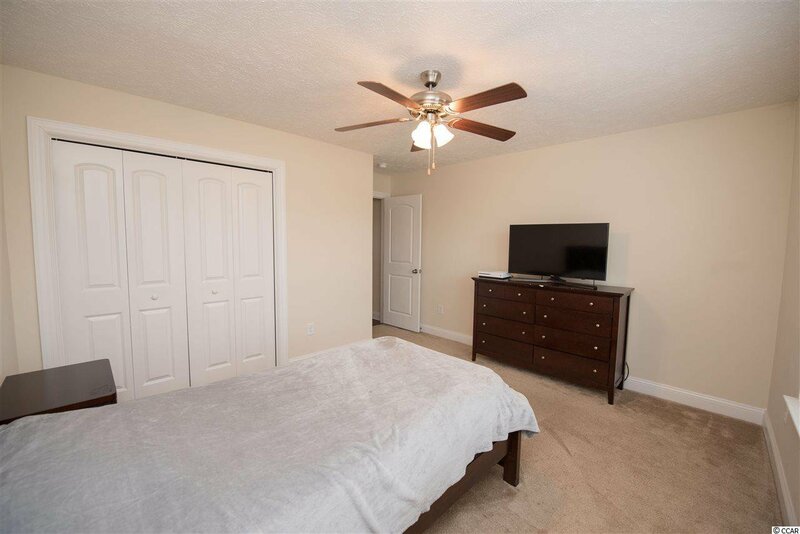 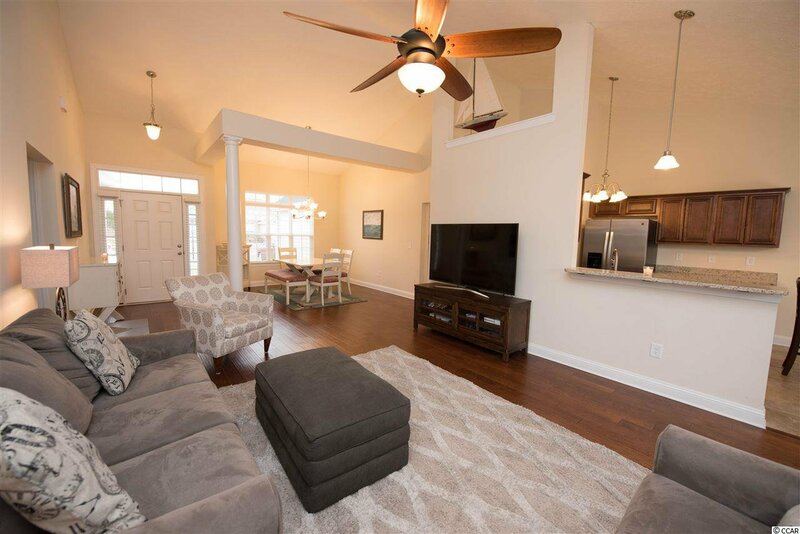 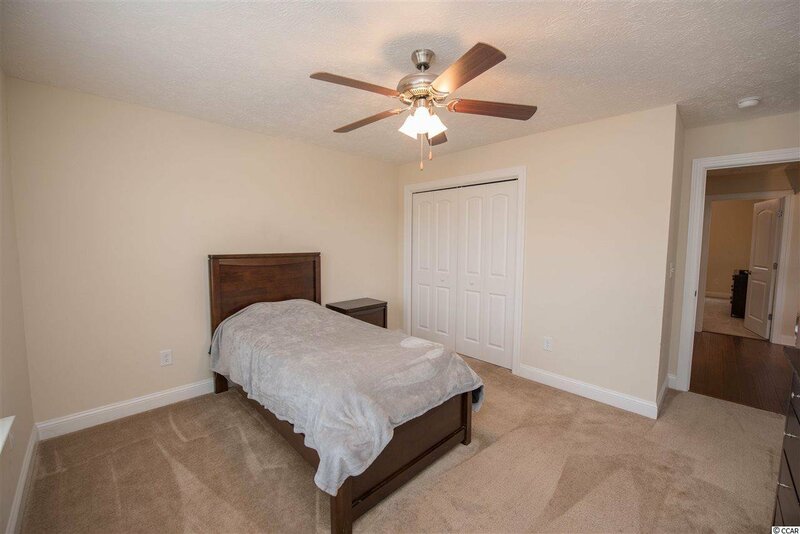 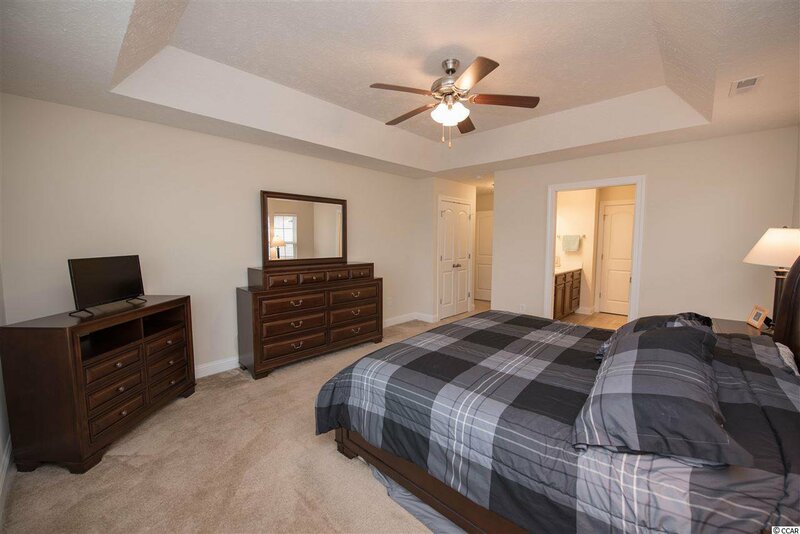 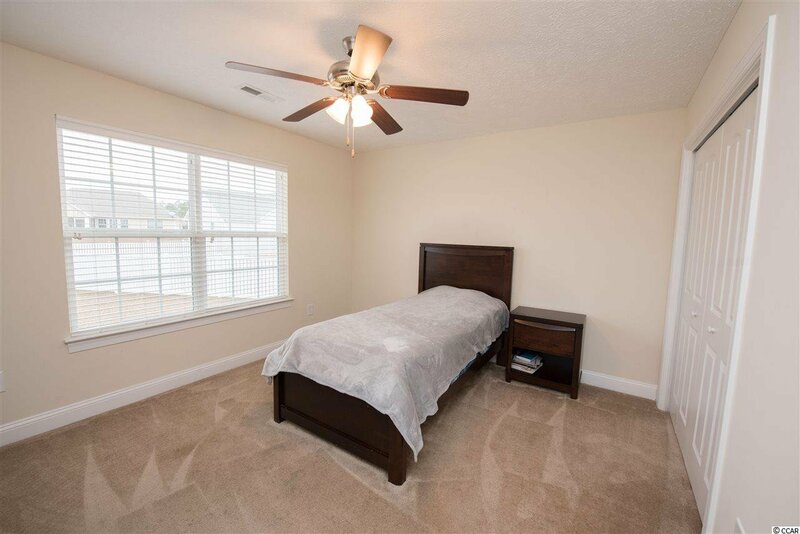 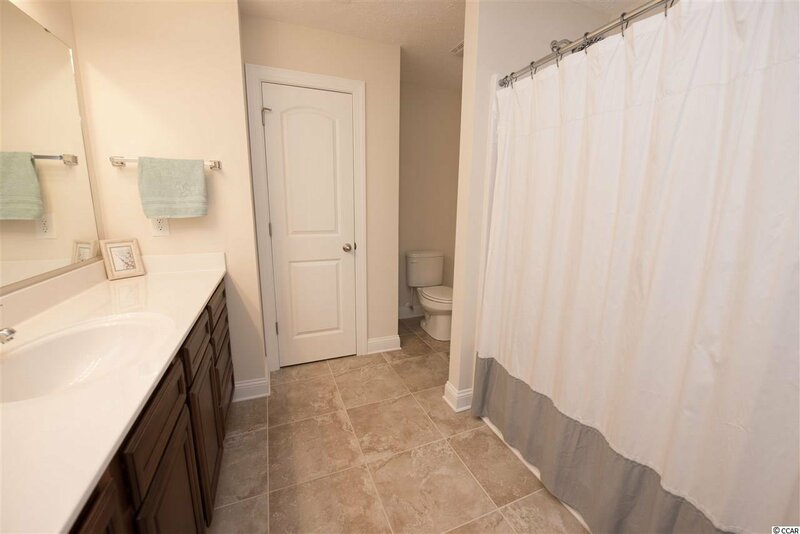 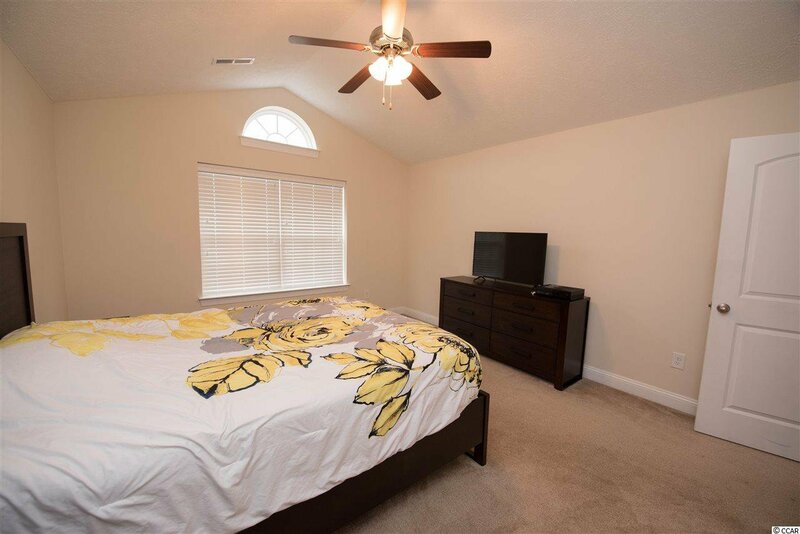 The master suite with tray ceiling, walk-in closet, and ensuite master bath is located opposite of the additional two spacious bedrooms and second bath. 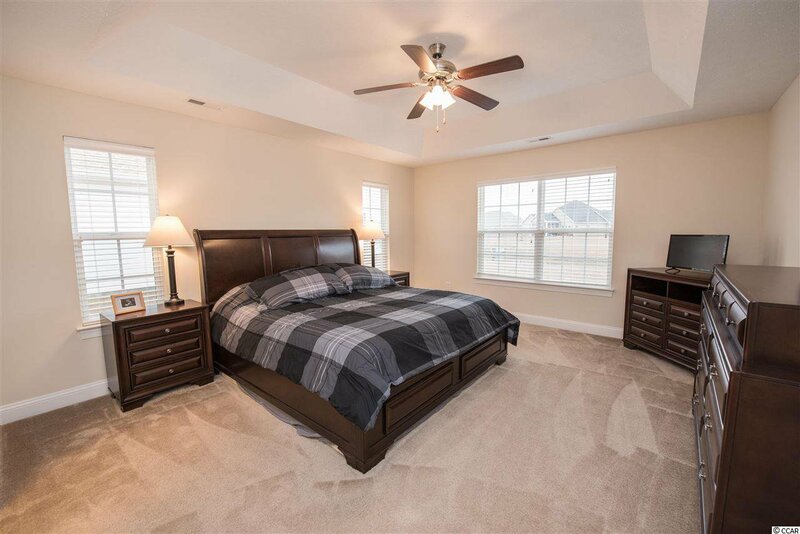 This home is tucked away in Forestbrook Preserve off of Forestbrook Rd. 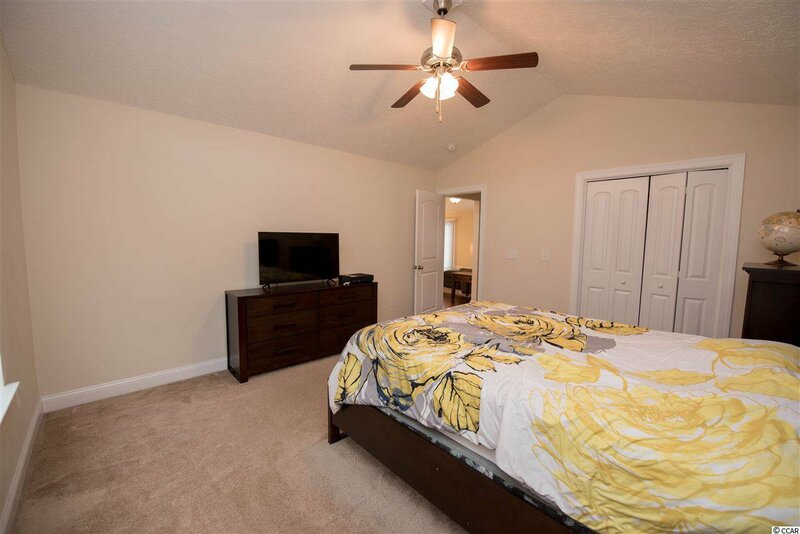 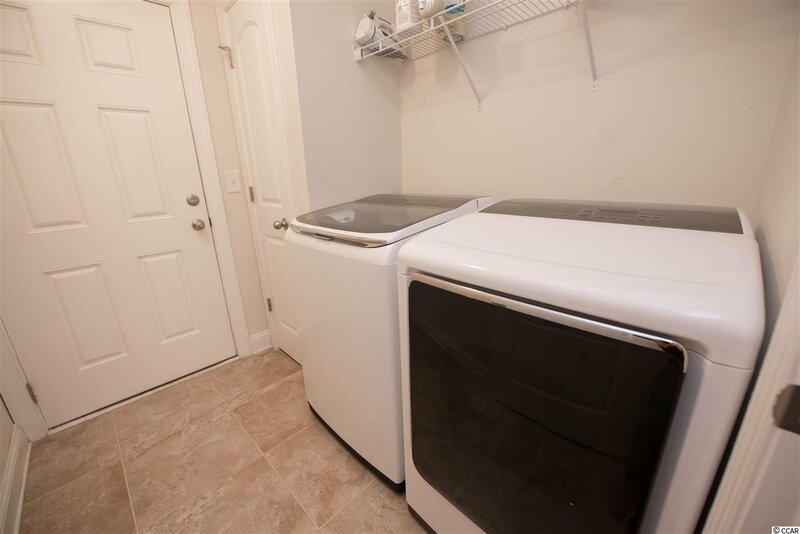 Convenience is key with easy access to 544 and 501, just minutes to the beach.